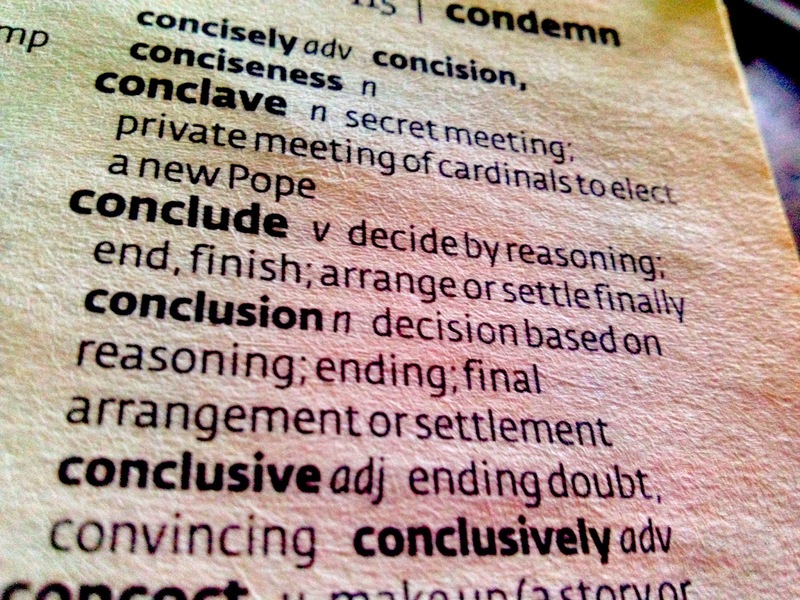 Conclusion n decision based on reasoning; ending; final arrangement or settlement. Yesterday in error the random finger alighted on 'cake,' but the game is to select and write without any real thinking time. First reaction to the reselection is disappointment: it is far too early in the alphabet game to be concluding! But it fits a life moment, here, for I have been engrossed in making decisions and have arrived at a personal conclusion. The problem I had with this was thus: a decision made becomes a concrete thing, it represents a fixing point, a full stop. I do not like to stop, I fear stagnation above all things. I had rather keep happily failing and learning than risk success. The breakthrough I have with myself is to redefine success: so that it means a point reached that enables further progress, rather than the 'death by fat desk' that I despair of. 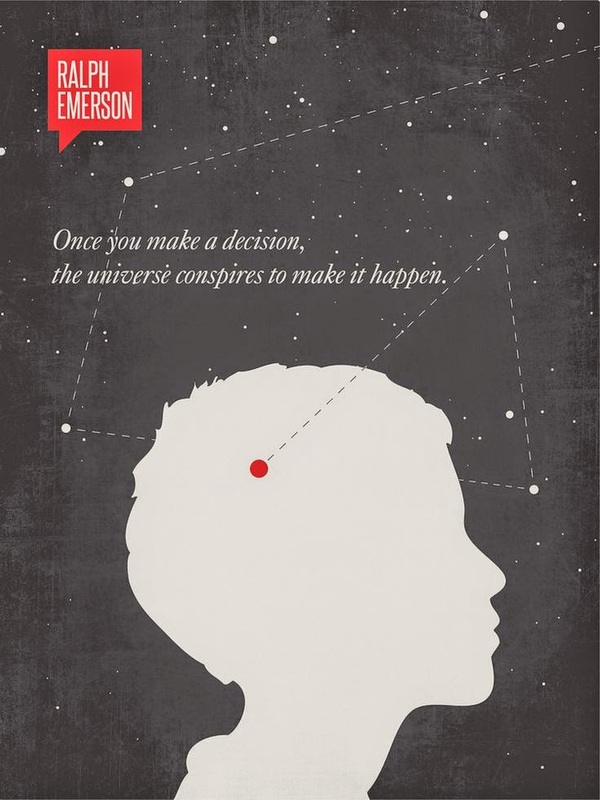 This decision is based on reasoning, and one remembers then that every ending is a point of new beginning. wow...your finger seems to be pointing to words that certainly fit the theme of 'CHALLENGE'. In conclusion, I'd say you have met it very well with this Letter 'C' post. BTW which finger are you using?